What's the Price for the 2019 Subaru Legacy? How Many MPG Does the 2019 Subaru Legacy Get? What's New for the 2019 Subaru Legacy? In production since 1989, the Legacy has functioned as the compact, then midsize, four-door sedan from Japanese automaker Subaru. The 2019 model year is part of the nameplate's sixth production cycle, and it is available in four trim levels: a base model, Premium, Sport, and Limited. The standard engine on the 2019 Subaru Legacy is a 2.5-liter horizontally opposed 4-cylinder (H4) engine with 175 horsepower and 174 lb-ft of torque. Only the top-level Limited gives you the option of trading this engine for a 3.6-liter H6 with 256 horsepower and 247 lb-ft of torque. Both engines are linked to a continuously variable transmission. Like all other Subaru vehicles, the Legacy has standard all-wheel drive. A five-seater, the 2019 Legacy provides a passenger volume of 104.6 cubic feet and a cargo volume of 15 cubic feet. Front seating consists of a 6-way manually adjustable driver's seat and a 4-way manually adjustable passenger seat. On the Premium, front seating is upgraded to 10-way power adjustability with power lumbar control on the driver's seat, both front seats are heated, and the wheel is wrapped in leather. Leather-trimmed upholstery, a 2-position memory system, 4-way power on the front passenger seat, and heated rear seats are extended to the Sport and Limited. Standard interior amenities on the 2019 Legacy include electronic cruise control, dual front and rear USB ports, STARLINK™ multimedia integration, four-speaker audio, an AM/FM/CD player, Android Auto™ and Apple CarPlay™ for smartphone integration, Bluetooth® hands-free phone operation and audio streaming, trial subscriptions to SiriusXM® satellite radio and Travel Link®, an auxiliary audio jack, and a 6.5-inch LCD touchscreen (new for this model year). The Premium also has dual-zone automatic climate control, an auto-dimming rearview mirror, a universal home remote, six speakers (instead of four), HD Radio®, and an 8-inch LCD multi-touch-gesture screen (in place of the 6.5-inch). The Sport and Limited distinguish themselves with a keyless entry system with push-button engine start and a 12-speaker 576-watt Harman Kardon audio system. 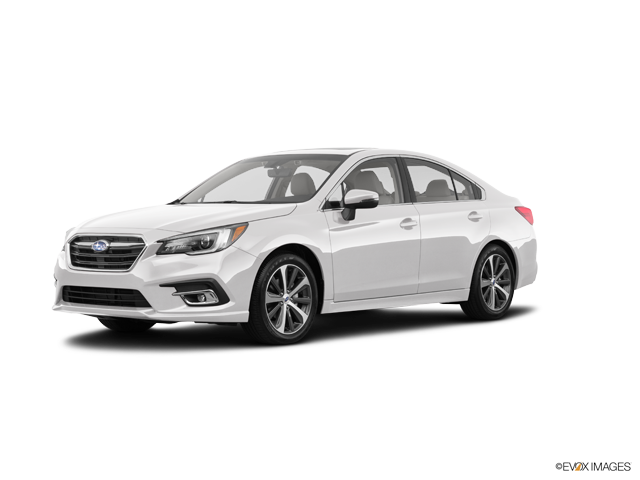 For safety, the 2019 Subaru Legacy has features such as six airbags (dual front impact, dual front seat-mounted side-impact, and dual side curtain airbags), vehicle dynamics control, traction control, active torque vectoring, LED daytime running lights, four-wheel anti-lock disc brakes, brake assist and override, and a theft-deterrent system that comprises keyless access and engine immobilization. On the Sport and Limited, Subaru adds blind spot detection with lane change assist and rear cross-traffic alert. For 2019, all of the Legacy's trims have EyeSight® driver-assist functionality, which comprises adaptive cruise control, pre-collision braking, lane keep assist, and lane departure and sway warning.